Once again I defy Google Analytics with my title, but what the heck. Here's what I'm thinking about tonight. When does a trend item become so ubiquitous that it passes into the realm of the classic, and when is it just over? And was it ever "in" to you. I have said before that I believe the pashmina made the transition smoothly from trend item to classic. But what about these things? 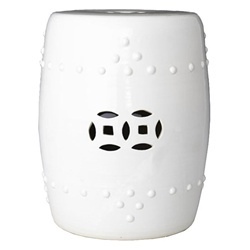 The white ceramic garden stool. Full disclosure: I have one that is identical to this and no less than two others: a plain version, no raised or cutout designs, just handles, and one exquisite antique version with dents and chips and crackled finish and a divinely detailed design. So, where do I stand? Hmm, somedays I think it's like a pashmina -- classic. Other days I see these and I am filled with disappointment -- not those things AGAIN. You? 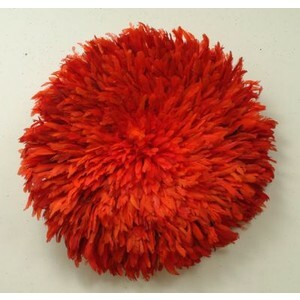 The African feather headdress as wall art. Meh. It never looked as good as in the home of Ashley and Allegra Hicks. You? 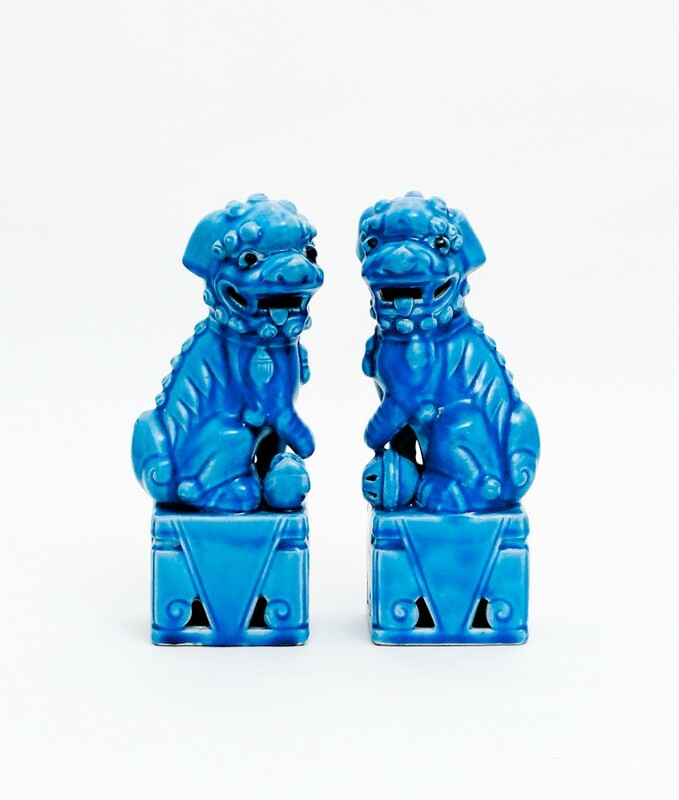 Turquoise ceramic foo dogs. I have two syllables: O-ver. Don't mind them in white or marble, but all the cheaply made happy colourful ones hurt my eyes. You? 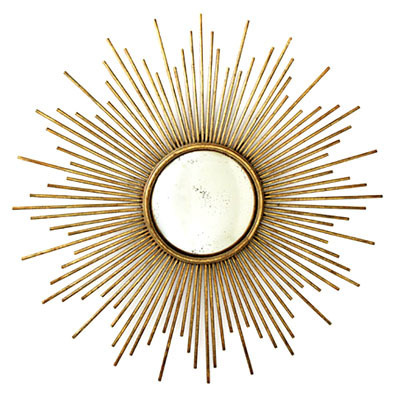 Gold sunburst mirror. My position is this: depends on the mirror and depends on how and where used: in multiples? right proportions? integrated well into the room scheme? Some I swoon for and some lend a room an ominous prickly torturous feeling, some are just banal. You? 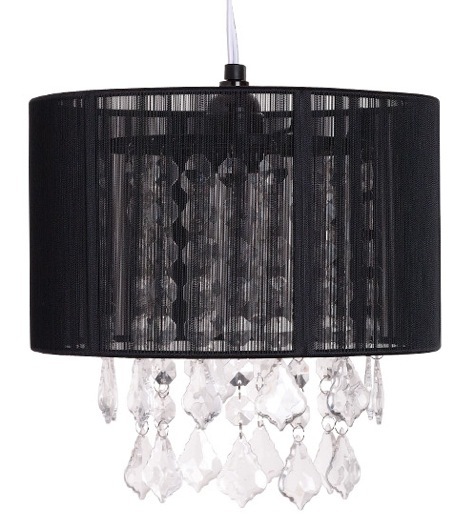 The sparkly chandelier encased in a drum shade. My view: never. ever. You?